South Snohomish County Fire & Rescue crew heads to California on Friday morning. Image courtesy of South Snohomish County Fire & Rescue. 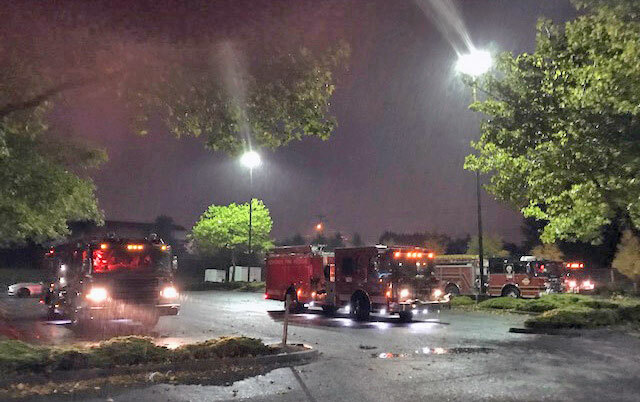 A Snohomish County Strike Team comprised of fire engine companies from Snohomish County Fire & Rescue, Fire District 7, Everett, Arlington, and Fire District 22 are heading down to California to help fight the devastating wildfires. Hynes went on to say, “A fire engine and crew of four firefighters from South Snohomish County Fire & Rescue left early Friday morning, October 13, 2017, for an 18-day deployment to assist with the California wildland fires.